I am loving using Evernote to help me get rid of the paper in my life. And the Evernote expert I turn to for help with that task is Mystie. So I asked her to share her best tips for Evernote for homechooling, so we can all be just a little better organized — without paper! Evernote is a program that is like a huge blank canvas and a huge empty filing cabinet all rolled into one. Because it is such a wide-open, customizable program, it can be overwhelming to learn how to use it. 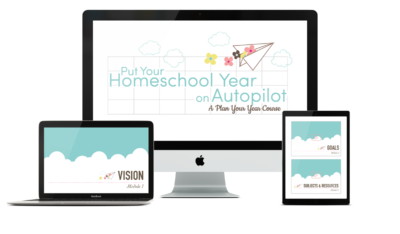 This is great for our use as homeschool moms, who have such individual needs. It is as versatile as a stack of blank paper, a set of tab dividers, and a huge binder!The place to begin as you get started with Evernote is its organization method and terms. The screen you actually type into is called a note. Notes are kept together in notebooks. Notebooks can also be bound together into stacks.I like to think of it as if Evernote were a large filing cabinet. A note is a sheet of paper. The sheets of paper can be kept in manila folders, which are the notebooks. The manila folders can be kept together and also kept separate from others by putting them in different drawers, and the drawers within the cabinet are stacks.You can have as many stacks, as many notebooks, and as many notes as you want. This cabinet never runs out of room! 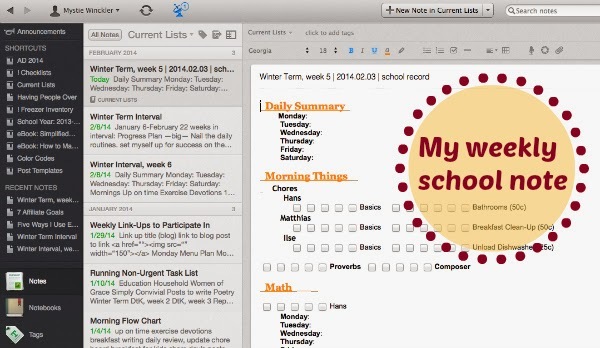 Here are 5 ways I’ve learned to love using Evernote, replacing paper planning with digital in my homeschool. 1. Evernote is for catching ideas and saving articles. 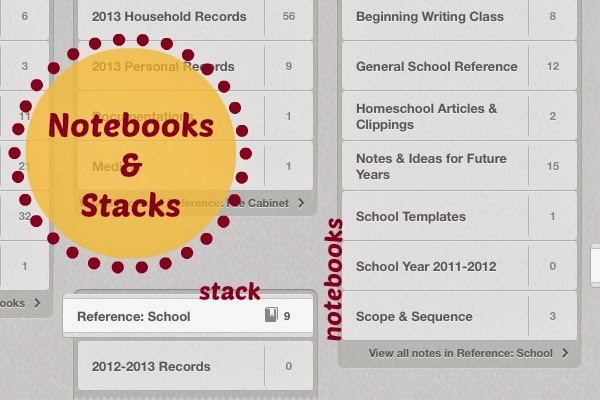 Using the web clipper, the email-to-Evernote function, or the ability to save pdfs to Evernote, I have saved articles, product reviews, and other online ideas into a notebook for homeschool resources and inspiration. I used to save things I found online by bookmarking them, but then I found that a few years later, many of those URLs, for various reasons, no longer worked and I had lost that article I had wanted to reference in the future. By saving the full text into Evernote, I have that article or review no matter what happens to the source online. 2. 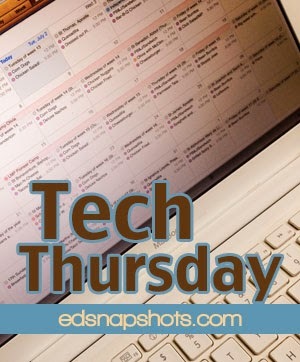 Evernote is for making weekly lesson plans. I made one note that lists all the things we do every week, just like a weekly lesson plan sheet would have. Each week, I copy this note into my “Current Lists” notebook, update the dates, and, throughout the week, fill in the checkboxes and the details of what actually happens. 3. Evernote is for keeping records. That weekly planning sheet, after it is filled out, is a record of our week. At the end of the week, I move it to the School Year notebook. At the end of each term, I merge all the weeks’ notes into one, and at the end of the year, have 6 notes that contain the summary and the details of what actually happened in our homeschool. At the end of each week, I also email the week’s school note to my husband, so he stays up to date on what we’re working on, and I get a little accountability for keeping up the lists. If you prefer working from a paper planner, Evernote can still be useful as the storage place for completed lists. 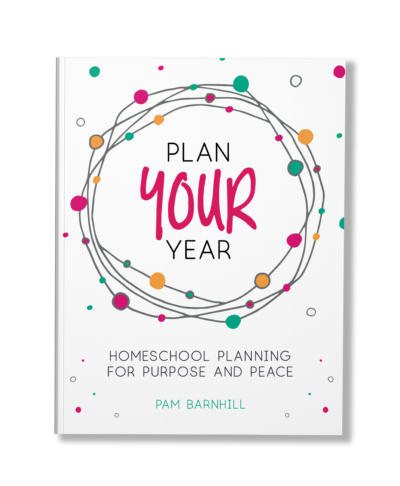 You can scan your filled in planner pages and store them in Evernote, shredding the reams of paper that are so easily collected in this homeschooling lifestyle. In our state, we have to administer achievement tests every year after a child is 8. I receive the results via a pdf by email, so I can immediately forward it to my Evernote email address and have it saved in my records notebook. The great thing about saving things in Evernote is that the files are not on your hard drive, but in the cloud. Therefore, if your computer crashes without a backup, your records are not lost or even inconvenient to recover. 4. 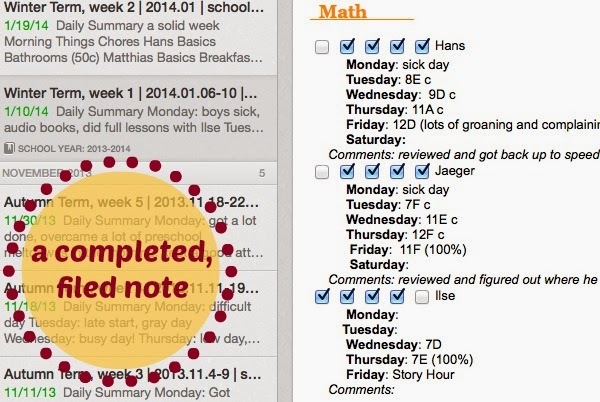 Evernote is for tracking yearly tasks. Every year we plan out the next year’s curriculums, goals, book lists, and methods. It’s a process we go through often enough to learn what works for us and what doesn’t, but not so often that it’s easy to remember from one year to another how to make the best start. About three years ago, as I planned our year, I kept a list of each step I did, and made adjustments as I went, noting what would have been a better way or order than what I did. Then, the next year, I could start with that list and remember how I go about planning out our schooling. That has been such a time saver! 5. Evernote is for listing lists of lists. Evernote is so versatile that you can keep any and all useful lists. You can keep notes for classes you teach or programs you use, so you start prepared when you use it for younger children down the line. You can keep book lists: books you want to read, books you have read, book logs for each child, and books for each history cycle. 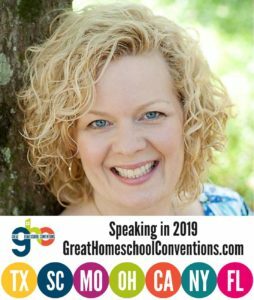 You can keep lists of ideas as they occur to you, lists of pros and cons to certain curriculums, lists of potential field trips, and lists of observations you’ve made about each of your children. Evernote has become an indispensable part of my homeschool, saving me so much space that would otherwise be taken up by legal pads and binders and file drawers. How do you use Evernote? I’d love to hear your personal applications or questions in the comments! Mystie Winckler is a wife, mother, homemaker, home-educator, and home organizer. She blogs about simple cooking and menu planning at Simple Pantry Cooking and about creating and maintaining a cheerful home at Simply Convivial. 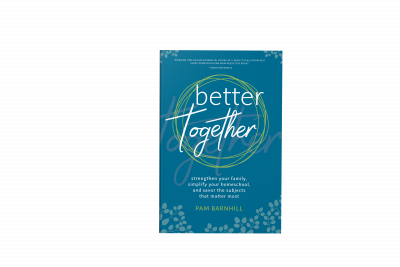 Her book, Paperless Home Organization walks you step by step through organizing your email, calendar, and task lists digitally with three free apps. 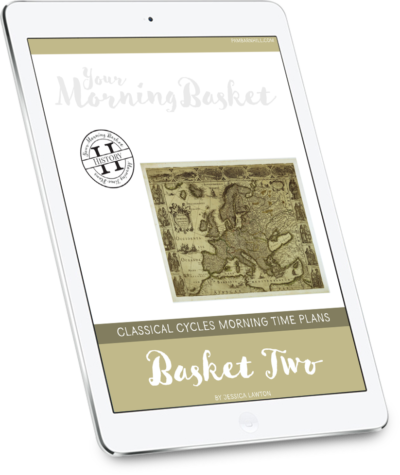 Mystie and her husband, Matt, have five children whom they educate classically, seeking to cultivate wisdom and virtue in themselves as well as their children, through discipleship in a simple life full of Truth, Goodness, Beauty – and a lot of books. She loves to take big ideas and grand visions and make them practicable in real life. People seem to have a love/hate relationship with Evernote! I have just never figured it out but this is a great tutorial! I think you are right Jen. I know I had the “hate” kind until I got Mystie's book. That started making it all clear for me. I really appreciate this post as I have read through Mystie's book and loved it, I do use Remember the Milk and am just getting a grip on my evernote organization. I have been using it for quite a while but not in this kind of detail, so thanks again for the great ideas and easy implementation!! My recent post "But why do I thus dwell on myself?" This IS very cool. 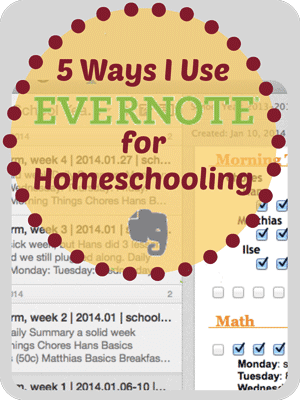 Found this while researching ways to teach my 8 year old (3rd grader) to use Evernote! Thanks for sharing. Glad you found it helpful Jocelyn. I use evernote only when I don't have any chance to sit on my PC. I also prefer writing my post draft in evernote rather than in wordpress. For homeschooling, I just use it to compile ideas. Your notes are organised tidily here. This is a great example for me. I might apply it one day. Thanks for sharing. Sue, check out the Dec. issue of Better Homes and gardens. Just looked at it today. There’s a pretty idea in there for what to do with your birds with a hurricane lamp! Just thought I’d share! This is really helpful! I have been using Evernote a little (Jennifer at Conversion Diary had a post about it awhile back and I gave it a try for helping me to manage recipes I find online that I want to try) but I haven't really branched out much with it. I also read another post recently about managing memorywork with Evernote <a href="http:// (http://joyouslessons.blogspot.com/2013/03/more-on-memorization-using-evernote.html)” target=”_blank”> <a href="http://(http://joyouslessons.blogspot.com/2013/03/more-on-memorization-using-evernote.html)” target=”_blank”>(http://joyouslessons.blogspot.com/2013/03/more-on-memorization-using-evernote.html) and I'm going to take a stab at implementing this. And I really like the idea of keeping the weekly checklists in Evernote… they do start to add up over the course of the year. All in all, I think it is really about time for me to embrace this particular piece of software! Does this work for homeschool Dads too? I LOVE Evernote. I’ve been using it for about six years. But I am just now starting to homeschool and I’m soaking up all your tips and counsel! Thank you!